Editor’s Note: The Class of 2018’s Valedictorian was announced on May 31 at the annual Senior Awards Night. Sean Sugrue gave his Valedictory speech on June 1 at Graduation. Jasmin Morse’s profile appeared in the May edition of the Veritas. With “huge calves”- Julia DiCanzio, and inspiration from President Abraham Lincoln, senior, Sean Sugrue has accomplished a lot during his time here at RHS. He stands as the top student in the Class of 2018. Sugrue is president of the National Honor Society at Rockland High School. He has also been involved in the environmental club, the math team, Harvard Model Congress and student government. He contributes poetry and prose regularly to Images Magazine. Sugrue is also a two-season athlete. He is a part of the soccer team and leads as a senior captain of the boys’ tennis team. 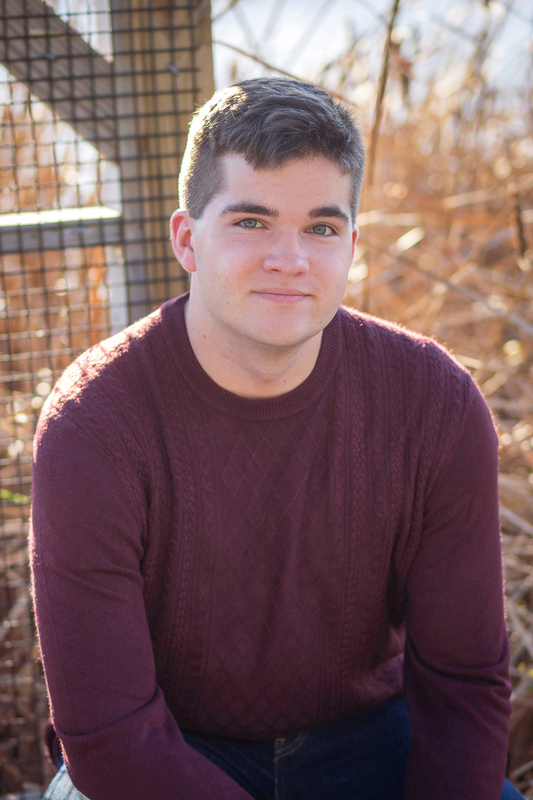 He says that one of his highest achievements during his time in high school took place last spring when after being inducted into the Pentelic Chapter of National Honor Society, he was elected by fellow members as the club’s president. Among his other accomplishments, Sugrue placed third in the annual Spellman Oratorical Competition this past January. In the fall, Sugrue plans to attend Boston College to pursue studies in philosophy and economics. Chris Neal, Images advisor and AP Literature teacher in charge of the Spellman Oratorical Contest, commented on Sugrue’s impact at RHS.